The Cottage Café is closed from 19th April 2019 to 22th April 2019. 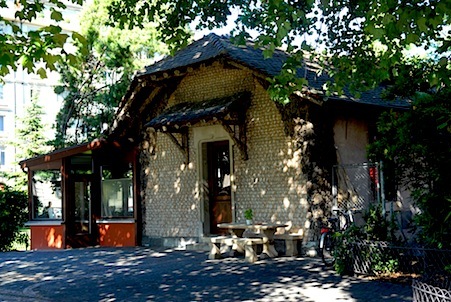 The little brick house, located just behind the plaza that is home to the Duke of Brunswick’s gothic canopy, probably served as a temporary accomodation for the construction crew between 1876 and 1879, then as a gardener’s pavilion and eventually, as a café in or around the 1930’s. 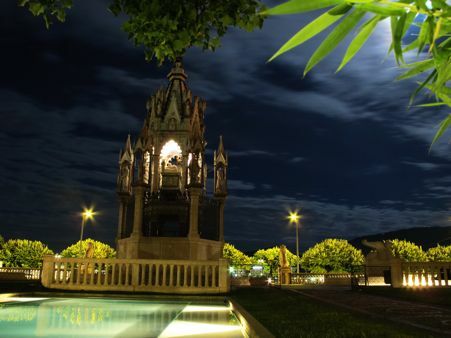 Left completely vacant in 2006, it was renovated by the City of Geneva, thoroughly refurbished and brought back to life in 2008 by Nicole Boder and her team. 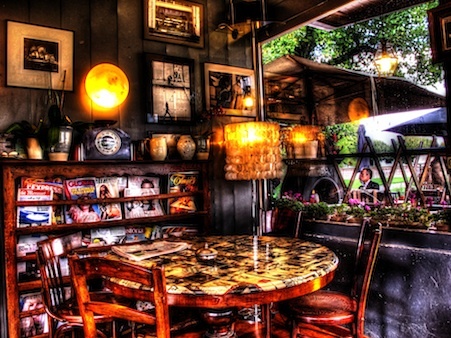 The old gold stuccos, the black tile floor of the bar section, brown parquet of the veranda, furniture and oddities from the flea market, outlined by a warm light arrangement and laid-back music, make it a cozy friendly space. As for the Duke, out there in his glorious chamber swept by cold winter winds and frequent downpours, he would have most likely fancied popping in for a coffee…. Born in Marocco, raised in Israel, she moved to Switzerland at age 20. She is self-taught, passionate and polyvalent: cinema, photography, light fitting creation, fashion, interior design, cooking,.. are among the many interests she’s pursued over the years, with a strong sense of eagerness and curiosity. She worked for 15 years as a waitress then as a cook in her hometown of Neuchâtel, 3 years as a chef at the Maison des Arts du Grütli in Geneva and finally opened her own restaurant in October of 2008. An authentic place for a meticulous cuisine, in a detailed decor and atmosphere, at the meeting point of her passions.